-Built to Last- Solid Wood Construction: Solid wood furniture is highly sought after for its strength, durability, and inherent beauty. This Collection is made in the USA by a skilled group of 600 artisans in Galax, Virginia All of the lumber is sustainably harvested within a day’s drive of the furniture factory. 1,000,000 trees have been planted to replace those that have been used. 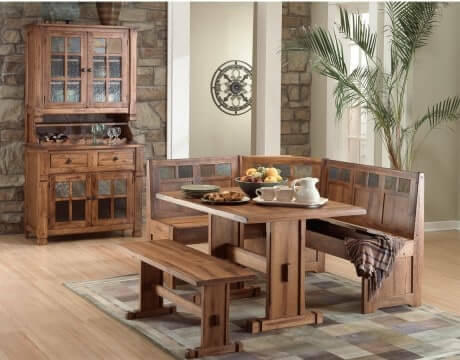 Artisan & Post-Built to Last- Solid Wood Construction: Solid wood furniture is highly sought after for its strength, durability, and inherent beauty. This Collection is made in the USA by a skilled group of 600 artisans in Galax, Virginia All of the lumber is sustainably harvested within a day’s drive of the furniture factory. 1,000,000 trees have been planted to replace those that have been used. We will keep you up to date on sales, new products, furniture trends and home décor.